The Victoria Falls are aptly referred to as the “Smoke that Thunders”. This world’s grandest sheet of cascading water has been tastefully preserved, regardless of its ever-popular reputation worldwide. Named one of the seven natural wonders of the world, the falls continue to amaze all its visitors who have the opportunity to witness its beauty. This one of a kind attraction has something on offer for everyone. One can sip champagne and watch the sites upon a boat cruise along the Zambezi River. Or you can walk through the luxuriant growth of the rainforest, which is situated on the lip of the chasm opposite the falls. Hikers are kept cool thanks to the continuous falling spray compliments of the gushing waters only sixty metres ahead of them. For the more daring traveller, the sites can also be taken in from above. Hop into a micro-lite or helicopter and soar to new heights. Taking in an unparalleled series of views of the falls, makes this an ample opportunity for one to capture the opulence that lies below. Not only are visitors to the falls enchanted by the wonder that is before them, the national parks surrounding the attraction offer some of the best game viewing the continent has to offer. The abundance of wildlife in both the Victoria Falls National Park and the Zambezi National Park include elephants, buffalos, crocodiles, hippos, zebras and the largest herd of the rare Sable Antelope in Africa. A large variety of bird and fish species also call the falls home, making a trip along the Zambezi pleasing to the eye from both above and below. For the adventurer in you Victoria Falls offers numerous exciting activities: from white water rafting, kayaking and canoeing trips in the various gorges along the river’s edge to bungee jumping off the 111 metre bridge situated between the two countries. This is definitely not for the faint hearted. With its natural beauty, stunning views and blissfully serene atmosphere, tourists choosing to visit the falls from the Zambian side have the opportunity to take in the towering cliffs and cascading waters from both above and below. This side of the river offers great close ups and interesting angles for its viewers as well as the chance to look right down the length of the falls at sunset. On the Zambian side, there are only two hotels situated within walking distance of the falls. Therefore travellers staying in Livingstone will have to commute in order to reach their chosen destination. Yet the town itself still boasts the post-colonial feel of its past, sending one down cobbled streets lined with Victorian era colonial buildings. Livingstone is the old capital of Zambia and is now the tourism centre for the falls itself. The town is named after David Livingstone the first white man to discover and explore the area. With its surviving Edwardian colonial buildings scattered along the city’s main roads, Livingstone is reinventing itself as the adventure capital of the region. Many adventure companies are based in town, offering visitors the opportunities to participate in many activities. The adventurous ones are white water rafting, river boarding, canoeing, horse riding trails, abseiling and quad biking. The more relaxing options are boat cruises, walks with the local lions, elephant back safaris, kayaking and tours of the mighty Victoria Falls as well as the nearby Mukuni Cultural Village. A trip to Livingstone Island is unique to the Zambian side of the Zambezi River and is highly recommended. It allows to view the falls from a completely different angle, right on the edge exactly as David Livingstone first saw it. 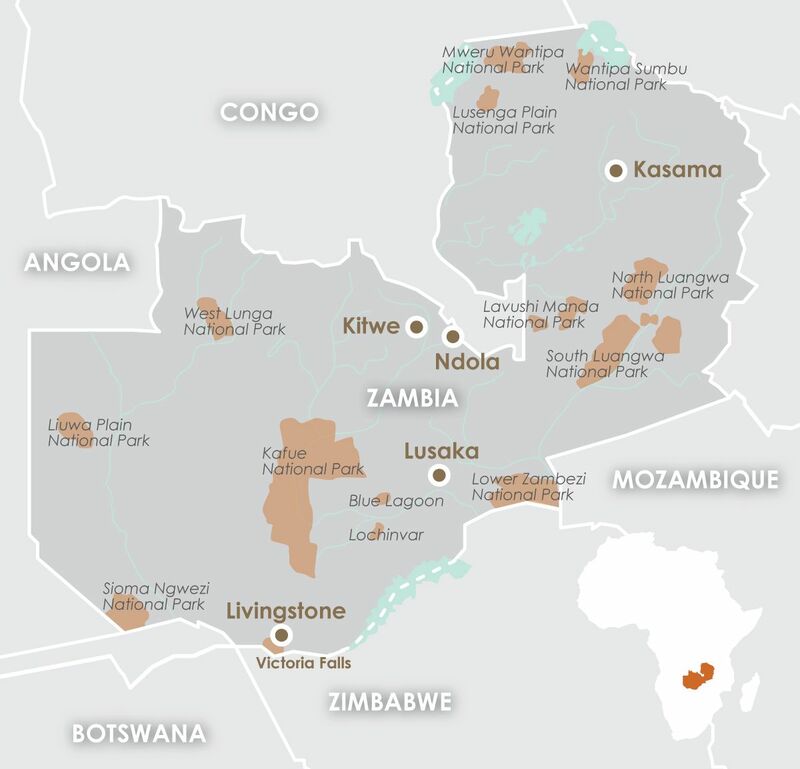 Both micro-light flights and Devils Pool can only be accessed from the Zambian side. The Victoria Falls can be accessed from both the Zimbabwean and Zambian side. Visitors are recommended to take the sights in from both sides, as both offer unique elements to those that visit. Access to and from the two countries is quick and easy, making it a must for all that have time. The falls experience two seasons yearly. The rainy season, which runs from late November to early April, is a unique time to visit the area. The extra water and mist make it almost impossible to see the base of the falls. Even though so much water flowing in a congested area isn’t a photographers dream, it really is a spectacle of nature. The best time to visit this glorious site is during the dry season from April to July. The water levels are high enough to experience all the splendour that Victoria Falls has to offer. During the late dry season, August to October, visitors may see more rock face than the actual falls. Yet this gives one the unique opportunity to walk across the top of the falls – an exhilarating experience on its own. Livingstone is home to two fascinating museums that allow visitors to really experience and learn about this fascinating areas past. The Livingstone Museum is the country’s oldest and largest, where visitors can explore the museums extensive library with books ranging from archaeology, wildlife and some of Livingstone’s personal diaries. The railway museum is the perfect place for steam engine enthusiasts. At this museum guests learn about Zambia’s railway heritage and unique artefacts including steam locomotives and vintage coaches to the tiniest railway memorabilia. An 18-hole golf course allows for recreational time for the adults, while the reptile park with its vast array of crocodiles and snakes on display is the perfect place to keep the children happy. Zambezi sunsets are breath-taking! The best way to experience them is on a cruise along the Upper Zambezi, floating by the Mosi-Oa-Tunya National Park where you can glimpse at hippos, crocodiles, elephants and giraffes whilst sipping on a gin and tonic. As the adventure centre of Southern Africa, various adrenaline sports can be experienced in an unmatched scenic environment where your breath will be taken away by both the view and the activity you are partaking in.